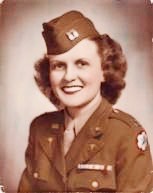 Anna Mae Violet McCabe Hays (born February 16, 1920 – died January 7, 2018) was an American military officer who served as the 13th chief of the U.S. Army Nurse Corps. 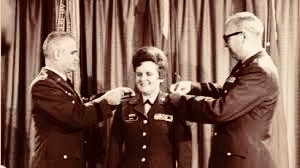 She was the first woman in the U.S. Armed Forces to be promoted to a General Officer rank; in 1970, she was promoted to the rank of Brigadier General. Hays was born in 1920 in Buffalo, New York as the middle of three children in the family. Her father’s name was Daniel Joseph McCabe II (1881–1939), who was from Ballymurphy, County Carlow, Ireland, while her mother’s name was Mattie Florence Humphrey (1885–1961), who was of Welsh descent; both her parents were members of The Salvation Army. During Hays’ childhood the family moved several times in the western New York and eastern Pennsylvania areas, but settled in Allentown, Lehigh County, Pennsylvania, in 1932. She had an elder brother, Daniel Joseph and a younger sister, Katherine Evangeline. Hays attended Allentown High School, now William Allen High School, graduating with honours in 1938. Hays had a love of music, playing the piano, the organ and the French horn, and wanted to go to Juilliard Schoolto study music but due to a lack of funds for tuition she decided to pursue nursing instead. Following her high school studies, Hays enrolled in 1939 at the Allentown General Hospital School of Nursing, from which she graduated in 1941, having obtained a diploma in nursing. In May 1942, she joined the Army Nurse Corps, and was sent to India in January 1943, serving with the 20th Field Hospital, to the town of Ledo in Assam. The hospital was stationed at the entrance to Ledo Road, which cut through the jungles into Burma. The living and working conditions were somewhat primitive; the buildings were made of bamboo, and dysentery, leeches and snakes were common, particularly during monsoon seasons. Just over two years later, in April 1945, she was promoted to the rank of first lieutenant. After serving two and a half years in India, Hays was on leave in the United States when the war ended. Remaining with the Corps, she served as an operating room nurse and later as a head nurse at Tilton General Hospital at Fort Dix, New Jersey; as obstetrics supervisor at Valley Forge General Hospital in Phoenixville, Pennsylvania; and as a head nurse at Fort Myer, Virginia. 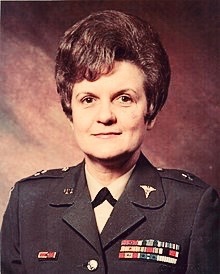 Anna Mae Hays was promoted to Colonel General on June 11, 1970. PureHistory.org ℗ is your source to learn about the broad and beautiful spectrum of our shared History. Copyright 2019 - PureHistory.org. All Rights Reserved.